Thinkerbelle (Grade: A+) This book is hilarious! so imaginative and clever, one of my favourite books of all time. TheRaven42 (Grade: A–) It's difficult not to love Roald Dahl books. And Mathilda is one of my favorites, maybe just because of the sweet, sweet justice. ReadingLush (Grade: B) I think loving the movie first kind of hindered my love for this book a bit. However, it was still a wonderful book that I hope to reread from time to time. 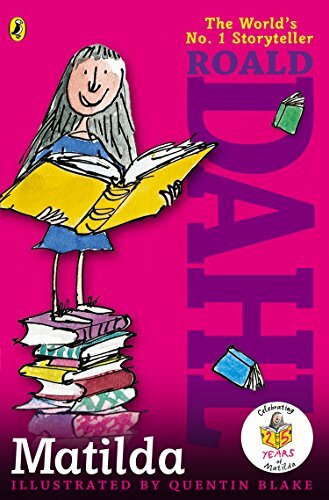 Matilda is a great character who embodies everything I hope for (an everlasting love for books and learning). krikalicious (Grade: C+) Pretty good book. But maybe cherishes greatly endowed people too much, stupid people matter too.